When news of the split between Greg Raymer and PokerStars trickled in last month –which was eventually confirmed by Raymer—few people in the poker industry thought the 2004 WSOP Main Event Champion, and PPA spokesman, would go very long without a new deal. And it seems Raymer has landed a new deal, even if it is on a short-term basis, and it happens to be with PokerStars’ main rival Full Tilt Poker. According to BluffMagazine.com, Raymer will be sponsored by Full Tilt Poker during the upcoming NBC National Heads-Up Poker Championship, and will likely receive a lot of air-time as he is pitted against Mike Matusow, the man who verbally assaulted Raymer during his 2004 WSOP run –Raymer has said in many interviews that he and Matusow are now very friendly. The Matusow vs. Raymer match is slated as the feature table for the telecast. 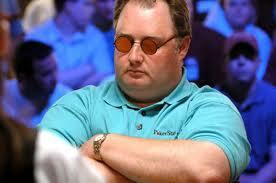 Raymer’s split with PokerStars was shocking to many players, and seemed to be all about the money involved. There is no word yet if Raymer and Full Tilt Poker are working on a long-term deal at this point, but you’d be hard-pressed to find a better-spoken player to represent your company. Raymer also has a certain charisma and presence about him that makes him very approachable, and one of the most sought after interviews in poker. The NBC National Heads-Up Poker Championship is currently underway, but will not air until April. This entry was posted on Saturday, March 5th, 2011 at 9:09 am and is filed under Poker News. You can follow any responses to this entry through the RSS 2.0 feed. You can leave a response, or trackback from your own site.